Update: The previous owner mounted the seats to the brackets backwards and on the highest setting. I reinstalled them today and am much more pleased. Nearly the original seating position, now they’re just a tiny bit higher, which I will attribute to the difference in seats with zero foam and seats that have foam. So now, I’m happy and can see keeping these longer term that I initially thought. I didn’t update picture because it looks the same, but lower. Ha! 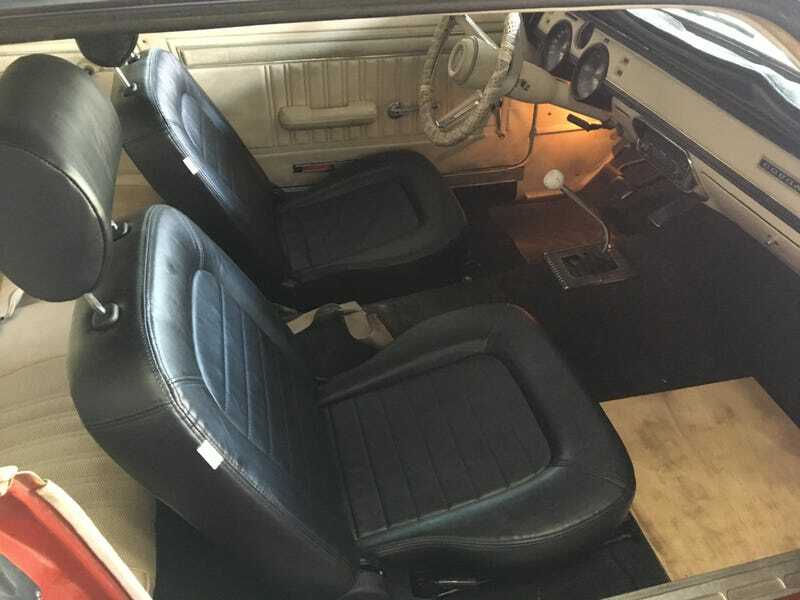 Initial post: I found a set of Procar Classic seats with headrests and brackets for sale for a really good price on Craigslist. Yesterday morning, I had snagged my shorts on the old seats and ripped them on one of the exposed chunks of metal. I figured replacements were in order. Here’s the dust pile from what was left of the foam from the old seats. I figured the seats would either be a stopgap, or I’d like them enough to color change the interior. It’ll most likely be the former. These are better than the crumbled old seats, but they are BRICKS. As you can see from the picture, there’s no bolstering, they are extremely firm, and they sit a little bit higher, as well. Maybe they’ll break in a little bit, as this is the first time I’ve bought new seats that weren’t fixed back race seats.